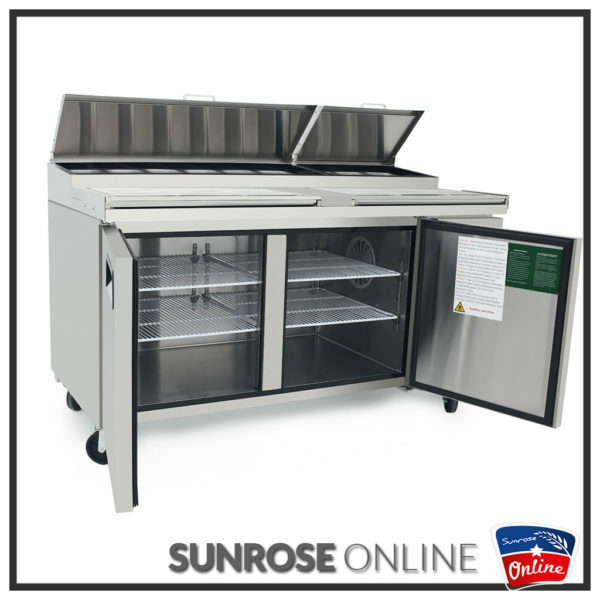 Sunrose Online Commercial’s line of solid, durable, two door, high grade, stainless steel interior & exterior Salad/pizza prep tables provides commercial kitchens with long lasting, culinary cool, easy to clean restaurant equipment. With a great aesthetic impact and extraordinary strength. 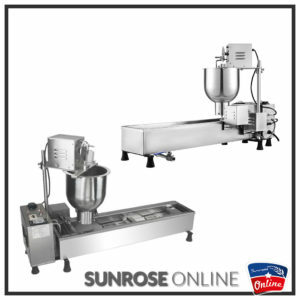 Entirely built in 304 stainless steel, is provided with the exclusive surface, which avoid the dough or food products to cool and gives an absolute hygiene. 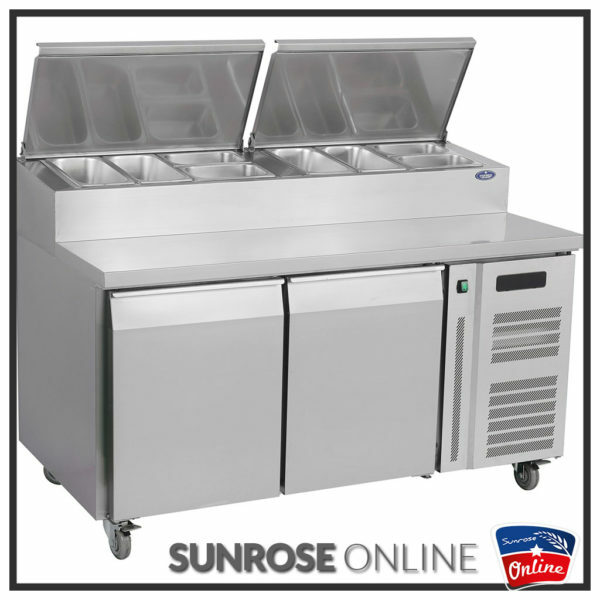 The powerful compressor, the hermetic extra-high density polyurethane seal, together with the digital unit with defrosting timer-thermometer-thermostat and the magnetically closing doors guarantee maximum efficiency and consistent energy saving.